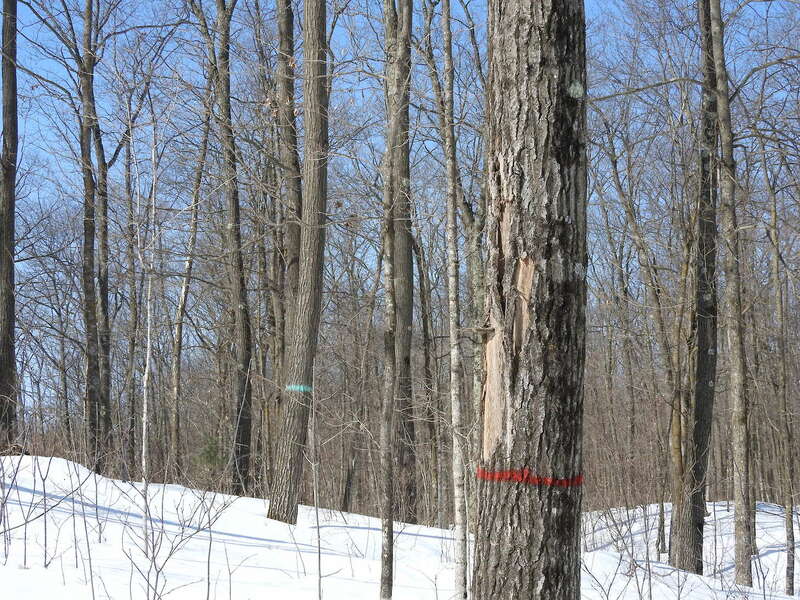 Local foresters have marked the oak-wilt-infected tree with red paint. Neighboring oaks that are close enough to have grafted their roots must also be removed, and they are marked with blue paint. While it’s sad to see potentially healthy trees killed pre-emptively, it is an essential part of oak wilt management. Prevention is preferred. Photo by Emily Stone. 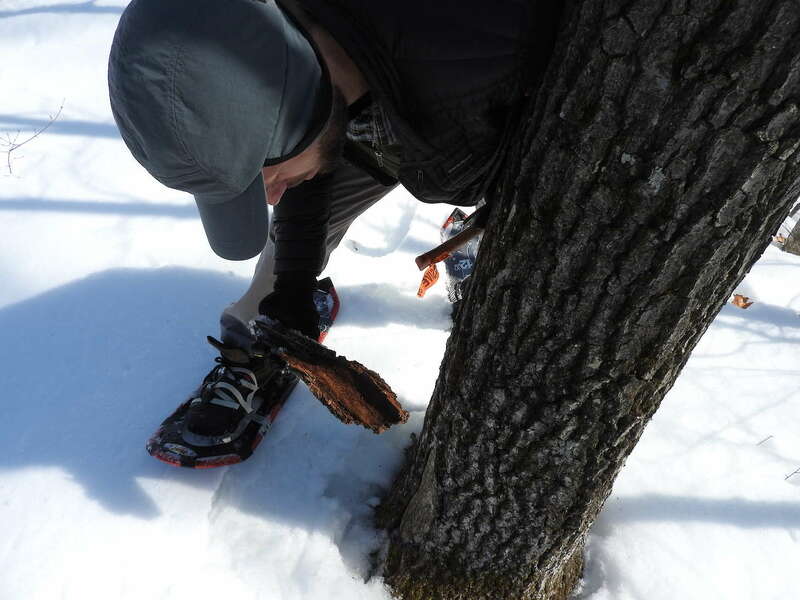 Paul Cigan, a forest health specialist with the Wisconsin Department of Natural Resources, slices bark off an oak-wilt-killed tree in search of the characteristic fungal mat. Photo by Emily Stone. 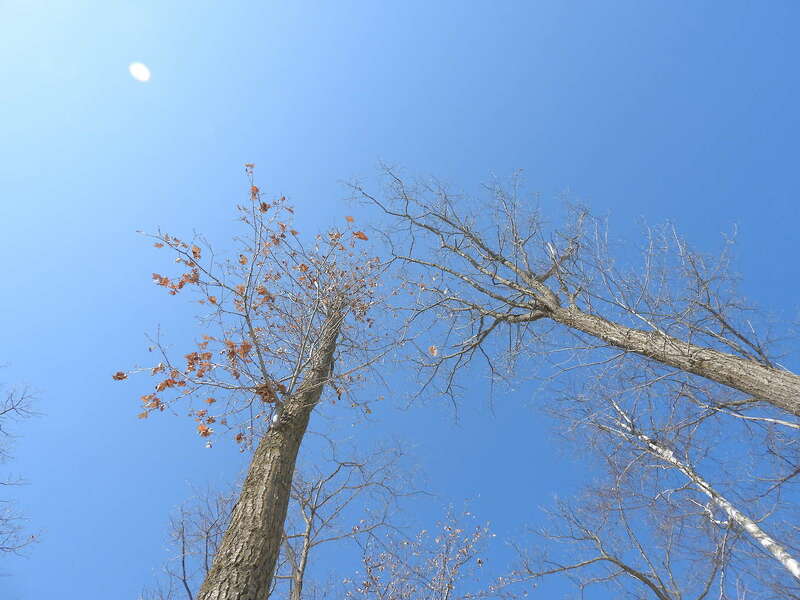 Two northern red oaks brush their knobby twigs against the sky. The right-hand tree was infected with oak wilt and its leaves died and fell off in the course of a single month. The left-hand tree was girdled and treated with herbicide during the growing season in order to kill any connected roots that may harbor and spread the oak wilt fungus. Photo by Emily Stone.